As of BlackBerry Device Software version 4.3, the BlackBerry smartphone supports maintaining multiple calendars. This will accommodate having a wirelessly synchronized calendar with the BlackBerry® Enterprise Server and/or one or more integrated email addresses through a BlackBerry® Internet Service account. What this means is that you have the potential to create or receive calendar appointments through multiple sources (email accounts) in the BlackBerry smartphone’s Calendar application. These are designated with a color coding that can be applied to the different accounts through the calendar options. This also gives the BlackBerry smartphone user the ability to do a wired synchronization process from each of these calendars through the BlackBerry Desktop Manager to their computer, with the exception of a wirelessly synchronized calendar. When receiving a calendar invite, it will always save the entry to the CICAL service it was received on. BlackBerry Desktop Manager will be directed to the Default Calendar (CICAL) service when performing a wired sync of the BlackBerry smartphone calendar. For example, if you have user@gmail.com and user@yahoo.com as integrated accounts and the user@gmail.com account is set to be the default calendar, performing a wired synchronization process will only transfer items associated to the user@gmail.com calendar. If you want the user@yahoo.com calendar to be synchronized, the default calendar needs to be changed to that account so that the BlackBerry Desktop Manager is directed to synchronize the information from this calendar. Note: If you change the default calendar on the BlackBerry smartphone and you perform a two-way synchronization process without changing the destination source on the computer, the entries on the computer will also synchronize to the newly assigned default calendar on the BlackBerry smartphone. This action will cause calendar duplication. For more information on how to determine if you have multiple calendars for use or which calendar service is configured as the default, see KB17992. For more information on how to configure BlackBerry Desktop Manager to synchronize with your computer, see KB17022. When one of these situations occur, the calendar entries may become associated with the Device Default calendar. This is essentially a holding area for calendar entries that have no current association to a CICAL service. This is not the same calendar as the one that is configured under the Default Services option. Calendar entries that are found under the Device Default calendar are not associated to a CICAL service. 1. Open the Calendar application. 4. Type MOVE on the keypad. 5. You will be asked to move all appointments in the base system calendar. Choose YES to accept moving all entries in the Device Default calendar to the default active calendar. 6. Perform a hard reset of the BlackBerry smartphone by taking the battery out while the BlackBerry smartphone is still powered on and placing it back in. This operation will move all calendar entries existing on the Device Default calendar to the calendar selected as the default calendar (CICAL) shown in Options > Advanced Options > Default Services. Note : If prior to performing the MOVE command as stated above you decide to reintegrate the user@gmail.com account, the entries that were moved to the Device Default calendar will once again become associated to the user@gmail.com account once the user@gmail.com (CICAL) service book is received to the BlackBerry smartphone. 1. Go to Options > Advanced Options > Default Services. 2. Verify the service selected as the Default Calendar [CICAL] is the account that you want to merge the records to. In the above scenario, it would be Desktop. 3. Press the back arrow and save the changes if prompted. 4. In the Advanced Options menu, choose Service Book. 5. Highlight the service book entry for the calendar (CICAL) you do not want. In the above scenario, it would appear as user@gmail.com (CICAL). 6. Press the menu key and choose Delete. By deleting the CICAL service book, any calendar entries associated with it are moved to the Device Default calendar. This step can be repeated if additional calendars contain entries you want to move as well. 7. 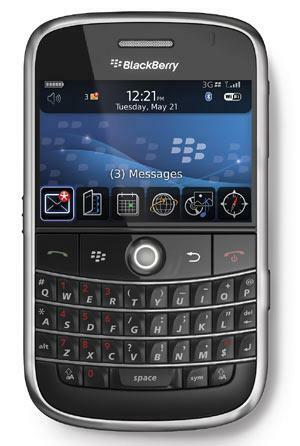 Once the BlackBerry smartphone comes back up, resend the service books from the BlackBerry Internet Service to obtain the service books that were deleted in the steps above. Since the calendar entries were merged into the user@company.com accounts calendar, they will not be re-associated to the user@gmail.com account even with the re-pushing of the user@gmail.com (CICAL) service book. NOTE: If the calendar is synchronized through the wire to a computer with the BlackBerry Desktop Manager software, the configuration for BlackBerry Desktop Manager will need to be reset and set up again before completing another synchronization. Ensure that the user@yahoo.com (CICAL) calendar is configured as the default calendar in Options > Advanced Options > Default Services as this will be the calendar the entry will be moved to. 1. Press the back arrow and save the changes if prompted. 2. Open the Calendar application. 3. Open the calendar entry that you would like to move. 4. Hold down the ALT key and type MOVE. 5. You will get a prompt stating: Move this appointment to the current default calendar, ? Select Yes to move the entry, which will prompt that the appointment has been moved. 6. Click the escape key and select to Discard changes. You will only discard the text MOVE that was typed over the entry, the appointment will still be associated to the default calendar. For more information on resetting synchronization settings, see KB17022 . Service books can be resent to the BlackBerry smartphone by completing the tasks in KB02830 . If duplicate calendar entries are determined, see KB00111 for further information on troubleshooting this issue.